Hudson's Bay is feeling spring! 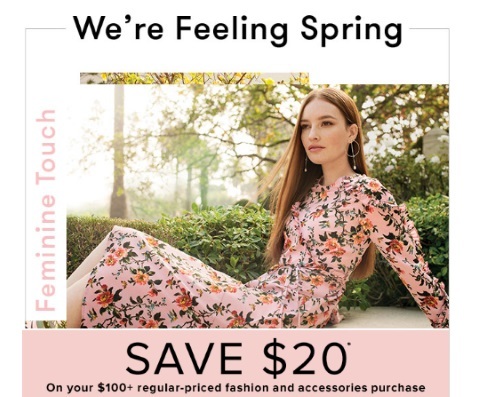 Save $20 off when you spend $100+ on regular-priced fashion and accessories with the promo code below! Enter the promo code SPRING to get the discount. Offer ends March 23m 2017 at 11:59pm ET.